If possible ethics violations against Rep. Charlie Rangel (D-NY) cost him the coveted chairmanship of the House Ways and Means Committee, East Bay congressman Pete Stark could be the big winner for one of the most powerful positions in Congress. Rangel, who has been dogged by tax problems for over a year, including current allegations he failed to report an estimated $600,000 on his congressional finance report, is keeping the seat–for now. 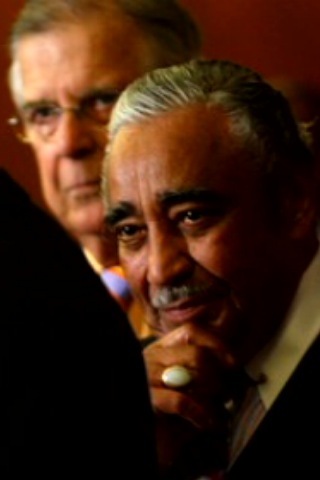 This is the second spate of allegations against Rangel on the tax front. Late last year, the raspy-voiced Rangel admitted to not reporting $75,000 in rental income for properties in the Dominican Republic and also copped to maintaining three rent-controlled apartments in Harlem. Stark, who currently is chair for Ways and Means Health subcommittee, is second in line for the post, but Speaker Nancy Pelosi said despite the uproar, Rangel will hold on to his post until an investigation is completed. The chairman of the Ways and Means Committee is one of the most powerful positions in Washington primarily due to its function as the chief tax-writing body. For this reason, many Republicans and government watchdog groups are raising questions about Rangel’s ability to lead such a committee amidst his continual tax problems. Published reports the past few days have alternated between a sense of apprehension in giving the post to Stark from Democrats, while reporting a sentiment conservatives fear the less amiable liberal as the chair. An article in The Hill noted Stark’s controversial statements last week when he called moderate Democrats “brain dead” as proof of his loose cannon persona. The 78-year-old congressman, though, is known for making explosive statements, which have only become more infamous in the age of YouTube. Within Stark’s district the possible elevation to such a distinguished position could extend his 37 years in Congress leaving a long list of East Bay politicians waiting even longer for his seat to come into play. There has always been a quiet subculture of thought in the area as to whether Stark congressional seat–one of the most entrenched in Congress–would ever be open short of health concerns. Without a clearcut successor in sight and retirement not on the radar, the race for the 10th District could be ferocious in the coming years. Nevertheless, such an appointment would surely prominently cap the career of one of the East Bay’s most colorful and effective public servants. Posted in Pete Stark, Ways and Means. Bookmark the permalink.